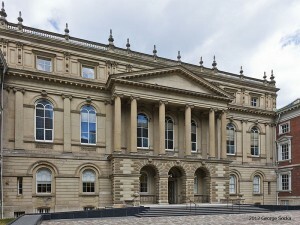 Two dependent contractors will receive $125,000 each after the Ontario Court of Appeal upheld an award of 26 months notice in the recent decision in Keenan v. Canac Kitchens Ltd., reinforcing that the legal nature of a service relationship will be determined by the conduct of the parties, not the language used to define it. On appeal, Canac unsuccessfully challenged the trial judge’s finding that Lawrence and Marilyn Keenan were dependant, rather than independent, contractors and the length of the notice period – 26 months in circumstances that do not appear to be exceptional. The plaintiffs, who were also spouses, each worked for Canac installing, and then supervising the installation of, kitchens for the majority of their working lives. Mr. Keenan began his employment with Canac in 1976; Mrs. Keenan in 1983. In 1987, Canac advised them that they would no longer be employees, but rather independent contractors. Under the new arrangement, the Keenans were responsible for paying the sub-contractor kitchen installers, providing their own vehicles to pick up kitchens and delivering them to the job sites to be installed. The Keenans were also responsible for damage to cabinets while in transit and were expected to obtain insurance to cover that liability. Canac set the rates to be paid to the installers and paid those amounts to the Keenans, who in turn paid the installers. The plaintiffs continued to be paid by Canac on a piece work basis, but the amount was increased to reflect that they were being paid gross, without deductions for income or payroll taxes. For the next 22 years, the Keenans worked as sole proprietors of Keenan Cabinetry, working exclusively for Canac. In 2007, the business slowed and the Keenans took on work installing kitchens for a competitor of Canac, to which Canac turned a blind eye. Despite taking on additional work, the work the Keenans did for Canac from 2007-2009 still represented 66-80% of their revenue. In March 2009, the plaintiffs were told that Canac was closing down its operations and their services were no longer required. Canac provided the Keenans with no notice. whether the activity of the agent is part of the business organization of the principal, or in other words, whose business is it? Mew J. found that the exclusivity factor heavily favoured the plaintiffs as they had worked exclusively for Canac for over 20 years. Even when there was a slowdown of work in the last two years of the relationship, the vast majority of the plaintiffs’ revenues were earned through work for Canac. The four other factors also favoured the plaintiffs. On appeal, Canac challenged the trial judge’s finding of exclusivity, arguing that exclusivity was to be considered at or about the termination of the relationship. Because the Keenans did not work exclusively for Canac for the last two years of their relationship with Canac, the trial judge erred in finding that they were dependant contractors. Similarly, Gillese J.A. dismissed Canac’s request to set aside the trial judge’s award of 26 months notice. Canac argued that reasonable notice awards in excess of 24 months are only available where exceptional circumstances exist. Since the trial judge did not make an express finding of exceptional circumstances, the Court of Appeal should set aside the award. Canac asked the court to make an award of 16 to 18 months notice. Although the trial judge did not expressly find exceptional circumstances, Gillese J.A. refused to interfere with the trial judge’s award. She found that the Keenans’ length of service, ages at the time of termination (61 and 63), the supervisory nature of their positions, and that they were the face of Canac through the majority of their working lives justified an award in excess of the notional cap of 24 months. This recent Court of Appeal decision is a reminder that the legal nature of a service relationship is not defined by the terms the parties use to describe it. Rather, the legal nature of the relationship is determined by the conduct of the parties over the entire length of the relationship. Further, it appears that the although the 24 month cap on notice periods, absent exceptional circumstances, is acknowledged by the Court of Appeal, the bar for what is “exceptional” appears to have been lowered.